Is Spice Jet Ready to Take-Off the Ground? After Kingfisher, it’s Spice Jet, now making the news. The current promoter of this airline, Kalanithi Maran has put his hands off and now actually looking at previous promoter Ajay Singh to rescue the company from the clutches of the debt load. Ajay Singh appears to be the knight in the shining armor for Spice Jet and has promised a whooping investment of $200 million along with US-based JPMorgan Chase. Good to see him buying back the stakes and trying out all the possible means to fly Spice Jet to safety. What is more interesting is his effort in meeting his government bureaucrat friends to help him in this endeavor. After honorable Prime Minister Modiji discussing the issue in the cabinet, it was Civil Aviation Minister Ashok Raju who cleared the government’s perspective on this topic mentioning that the government wishes to see more number of players and improved connectivity. Well, saying that really does not help Spice Jet to a great extent! After sailing on the second largest position as domestic air-carrier, the skies for this airline suddenly changed right in the beginning of August 2014. Hit by the mounting debts, it was sad to this jet falling down at a sky-rocket speed. After sailing on the brim for last couple of months, at least the pilots and the staff are happy to receive their November salary after the investors have fueled in a couple of crore. 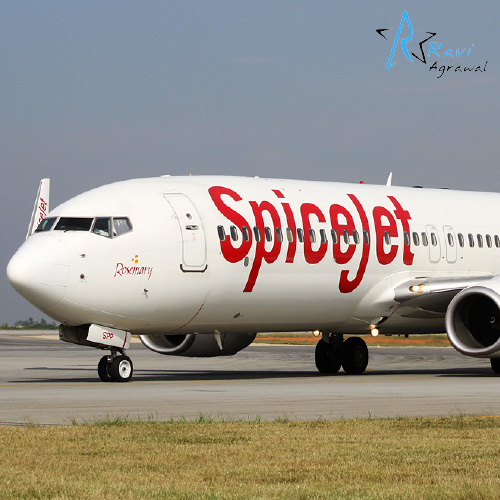 Although Spice Jet speaks about clearing salary dues and oil bills, it is actually its customers who have now become skeptical about this airline. Rock-bottom, there are couple of things to learn from Spice-Jet. Forecasting the market trends and a close watch on the high’s and the lows is crucial. Keeping customers happy at all times is certainly essential, but not to the extent of winding up the business. Secondly, Spice Jet case-study sets a very good example for entrepreneurs to be practical when it comes to dealing at both ends i.e. customers & vendors. Let’s not get jammed while balancing the act! On the other hand, we also see Vistara on the horizon. A joint venture between Tata Sons and Singapore Airlines is launching its full-service carriers from January 9. Well, it looks as if, after a safe take-off, Spice Jet has another competitor to handle! Sitting here in Australia, I am just chasing the news. The latest one, which I just happened to read, is Spice Jet to submit its revival plan to government and its stock surging to 10.5% intraday. Good sign here. Well, guess the speculations will go on and I wish my good luck to Spice Jet. Look forward to see this airline soaring once again in the limelight of the forthcoming New Year!